Simple and quick to prepare, this vegetable preparation is handy when I need to get some food going in a hurry. 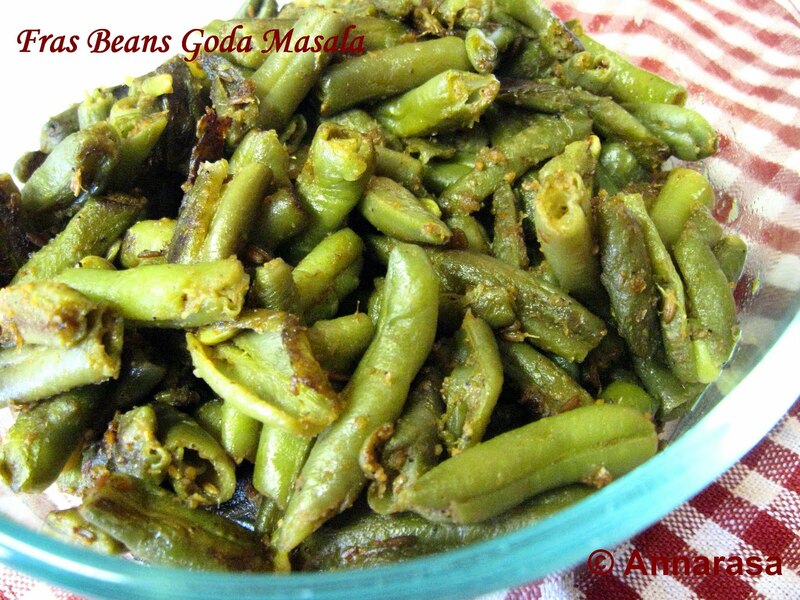 Green Beans and Goda Masala are a match made in heaven, and a dollop of ghee at the end of the cooking process make them mouthwateringly delicious. Lentils are the mainstay of simple home food in India. I remember eating dal-roti on hot summer afternoons in Delhi. Back from school, this simple meal was ideal to satisfy with most desperate of hunger pangs, not to mention provide complete nutrition. Dals in our home were always prepared to a thick consistency, and loaded with ghee tarkas. 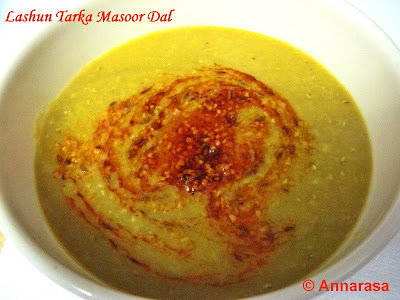 I do the same now, and as one of my favourite dals is Masoor, I make this easy recipe for quick afternoon meals. The Daring Cooks March 2011 challenge was wonderful - filled potato patties from Peru. 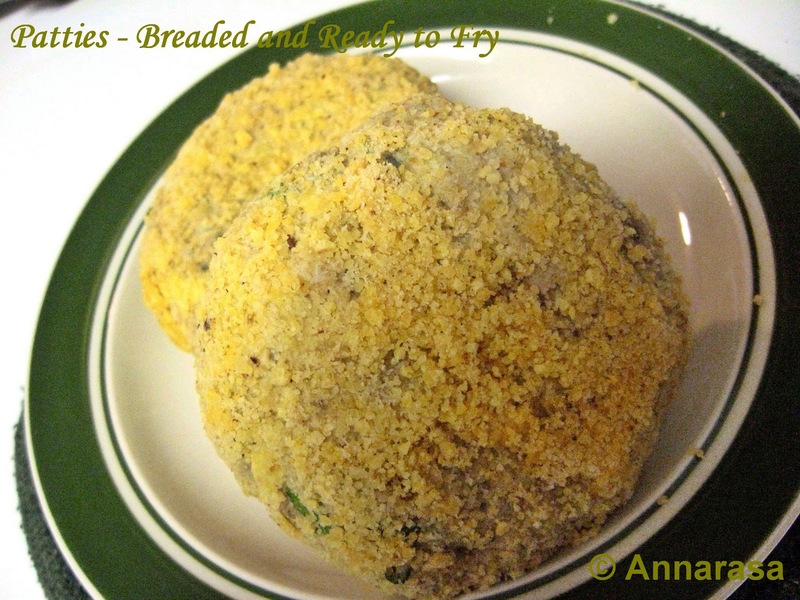 Even though I am really pressed for time these days, I knew I just had to make this particular recipe, albeit with some modifications to suit our tastes!! Details of the filling to follow. 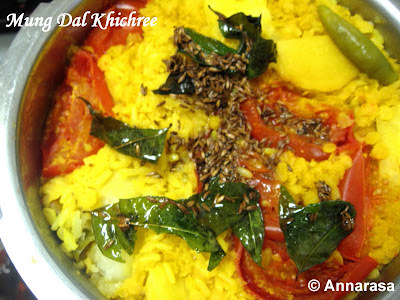 Kichidi - that delicious melange of rice and lentils - is the ultimate comfort food. And moomg dal kichidi comes out at the top. In this version, I have added a tomato and potato to make the dish extra nutritious and comforting. Pakoras or chickpea fritters are a great favourite in our family. But as they are deep fried I try to make them only for a special occasion. 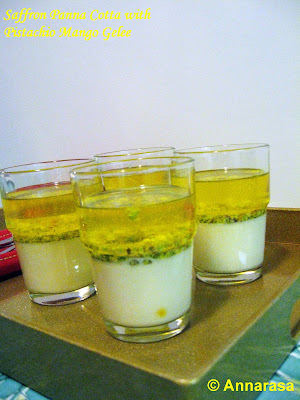 Of course, there are times when some special foods make a day special. 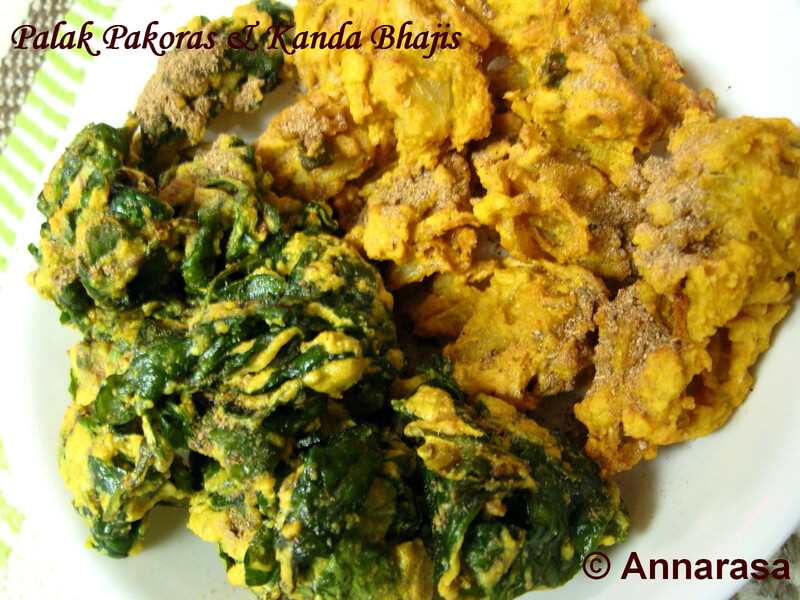 Pakoras can make the most simple of meals into a treat! !